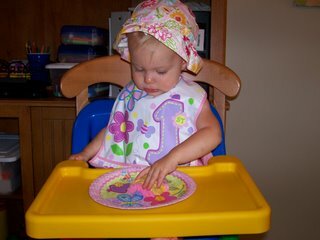 Brandi Raae: My Hon Bun is One! Pin It Now! I can't believe our little girl has been here an entire year already. Sometimes the days seemed so long, but the year has been so short! 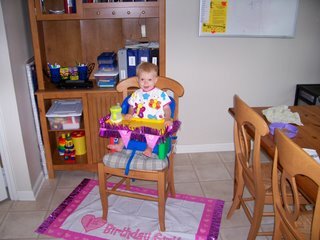 I have had loads of fun playing dress up with her, having a girly, pink butterfly room, and picking up Carebears and dollies off the floor. 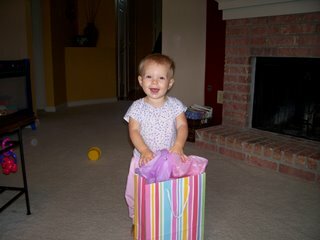 She has brought so much joy to our home, and she has a smile that makes your heart melt like honey butter!! 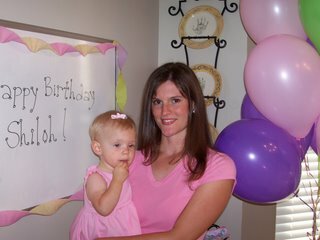 The Birthday Girl and her very proud Mommy! The very yummy strawberry butterfly cake. 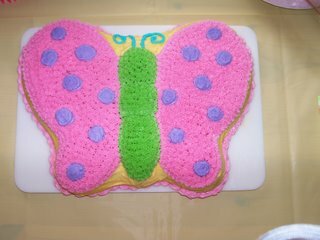 I made the cake to match the butterflies on her crib quilt. Shiloh loved her cake and ate every bit! Ooh, presents! 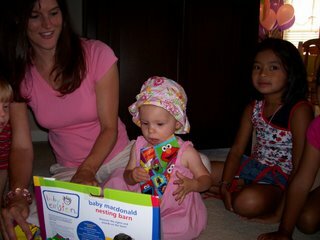 She got so many fun toys, cute clothes and hats to match, and books, my favorite being The Itsy, Bitsy Spider that literally made her jump and crawl away. 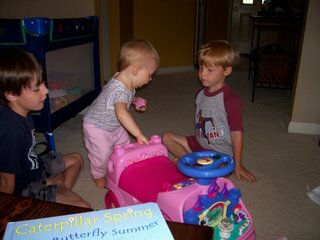 Mommy, Daddy, Mullin and Lincoln gave her a Disney Princess ride on/push toy which she absolutely adores. I love it when she puts on her bracelet, necklace and crown that came with it. I am looking forward to another year with this precious and feisty little princess! Very cute cake! You did a great job on it! Wow, I can't believe it's been a year already.